The course is designed for software developers who aim for excellent software characterized by intuitive interfaces and maximal performance. Our goal for this 4-day course is that you can afterwards program perceivably more productively. That your programs are usable more flexibly and nonetheless explore the hardware as efficiently as possible. That your software becomes clearer and simpler and thus more readable and more maintainable. For this purpose, we intensively use features of C++11, C++14, and recently C++17. The trainer Peter Gottschling is the author of the advanced C++14 book ”Discovering Modern C++”,the Matrix Template Library 4, co-author of the Boost Graph Library and other scientific libraries. 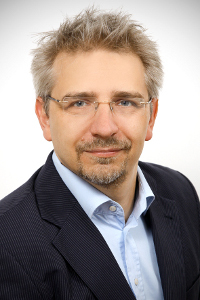 He is vice-chair of DIN’s programming language group and was (the last) head of the German delegation in the ISO committee for C++ standardization. The complete course description including the list of topics is available here. Next trainings: 3/5-8/2018 in English, 6/18-21/2018 in German, 9/17-20/2018 in English.